Many people with poor vision are interested in a safe, lasting solution that can dramatically improve their quality of life. LASIK is an advanced refractive surgery that can help you see more clearly while reducing or eliminating your dependence on glasses and contacts. When patients first begin researching LASIK, it is common to have questions about its cost. There are several factors that will affect how much you can expect to pay for LASIK, including the technology used during surgery, the complexity of your individual case, and more. The skilled team at Southwest Eye Care and Laser can ensure you understand all the criteria that will shape your LASIK cost. Contact our Bakersfield, CA, practice today to schedule an appointment with our skilled surgeon, Dr. Gregory A. Stainer. Katy received LASIK from Dr. Stainer at Southwest Eye Care and Laser. 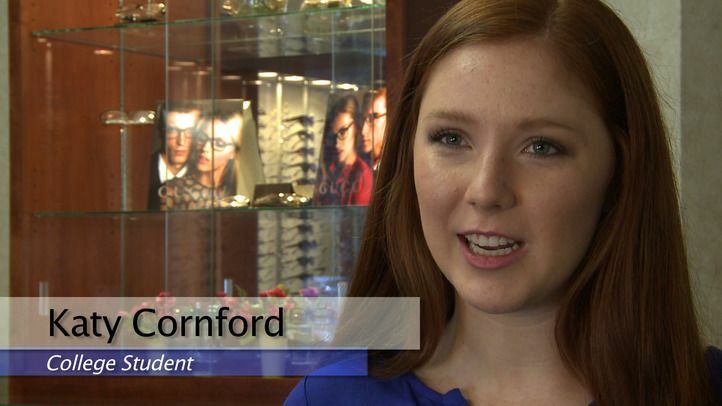 Katy was recommended by her mother to have blade-free LASIK, which she is completely satisfied with. She appreciates Dr. Stainer's professionalism and the custom care she received. During an appointment, it is important to discuss what type of LASIK your surgeon provides, as well as any extra costs that may be involved. At Southwest Eye Care and Laser, we are happy to explain our costs in detail so that you are fully informed. Because we provide blade-less LASIK at Southwest Eye Care and Laser, you can expect to receive some additional benefits. Our femtosecond laser is very precise, which allows for faster healing time, reduced risk of complications, and minimized side effects, like halos and poor night vision. We also utilize wavefront technology, which further optimizes your surgery. When you consider the overall cost of LASIK, you should keep in mind the long-term improvements to your lifestyle, as well as the savings gained when you consider you will not need to buy eyeglasses and contacts. We understand LASIK is an investment, so we happily accept CareCredit℠ patient credit cards. CareCredit℠ offers low- and fixed-interest rate payments that allow you to break up your total treatment cost. We also accept all other major forms of payment. We believe that every patient should have the opportunity to see the world clearly, and are happy to help you explore your financial options. To learn more about LASIK surgery and its cost, contact Southwest Eye Care and Laser today.